Christianity isn’t partisan — or at least it shouldn’t be. It can be boiled down to this: It’s by grace we are saved (Ephesians 2:8). But somehow faith has many times been divided along ideological lines, with conservative Christians on one side and progressives on another. One of the most well-known progressive Christians today is author, speaker, friend-of-Oprah and former pastor Rob Bell. Bell has famously mused that Hell is not a real place and encourages people not to take the Bible literally. And, he’s influenced major thought leaders like Oprah, author Elizabeth Gilbert and others with his more “open” views about what Christianity is. One of the most famous people he’s influenced recently is Green Bay Packers Quarterback Aaron Rodgers. In a fascinating new EPSN profile of Rodgers, the athlete delves into the Christian faith he grew up believing in — and how meeting Bell was a turning point for him in rejecting the doctrine he’d held so dear all his life. 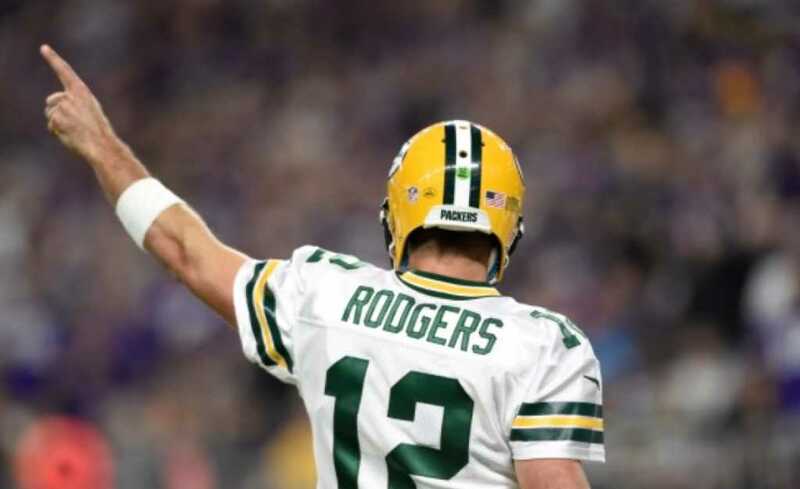 “I think in people’s lives who grew up in some sort of organized religion, there really comes a time when you start to question things more,” Rodgers said in the profile, adding that when he couldn’t find the answers to his questions he went searching for alternate versions of theology. Meeting Bell, who then sent him books on an array of spiritual subjects and became a real-life friend, made a huge difference in Rodgers’ spiritual outlook. Over time, as he read more, Rodgers grew increasingly convinced that the beliefs he had internalized growing up were wrong, that spirituality could be far more inclusive and less literal than he had been taught. …I ask him whether he still sees himself as a Christian, and he says he no longer identifies with any affiliation. While people like Bell are on their own spiritual journeys not purposely meaning to harm anyone, it’s easy to see how people in such high positions can unwittingly prey on or even impact those who are experiencing doubts about their own Christian faith. I don’t know Bell’s heart, but I know that the doctrine he preaches doesn’t line up with the truth of what Christianity is. The distinctness of Christianity lies in it’s core belief that Jesus is the only way. It is, to use Rodgers’ word above, “exclusive” to all those who accept the free gift of salvation from the one and only God. Some Christians on the Left today, like Bell, claim the label, but don’t ascribe to the essential belief that there’s one way to Heaven — that things are that black and white. What is Christianity if it has no meaning or distinction whatsoever? Rodgers isn’t claiming to be a Christian anymore, and if he doesn’t believe in Jesus as the pathway to salvation, he’s not. I’m not sure Bell has reached the point of throwing off that nagging label yet. It sure is getting a bad rap among the progressive elite though, so he might let it slide soon.